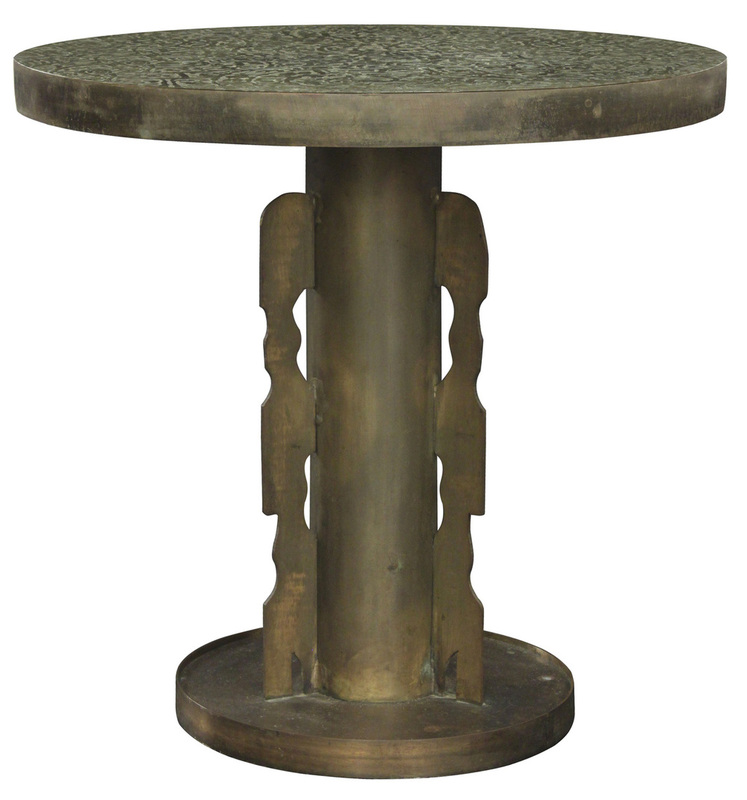 Rare and exceptional "Etruscan Round" side table with abstract design in patinated bronze and pewter by Philip and Kelvin LaVerne, American 1970's (signed “Philip and Kelvin LaVerne” on base). Philip and Kelvin LaVerne were father and son artists who worked together to create extraordinary metal art pieces. Their pieces are studio made and unique.